3 ft. 6 ft. 15 ft. 25 ft. 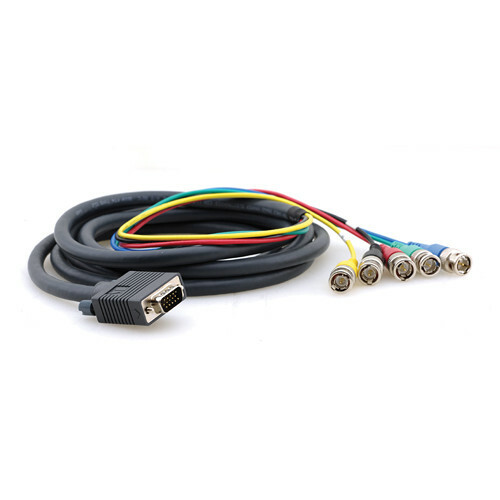 The 15' 15-Pin VGA Male to 5-BNC Male Breakout Cable from Kramer connects two of the most common cabling formats used for routing computer graphic video signals, VGA and BNC. It is constructed from five mini coaxial cables and has a molded 15-pin VGA male connector on one end, with a 5-BNC male connection on the other. Box Dimensions (LxWxH) 6.7 x 6.6 x 1.5"